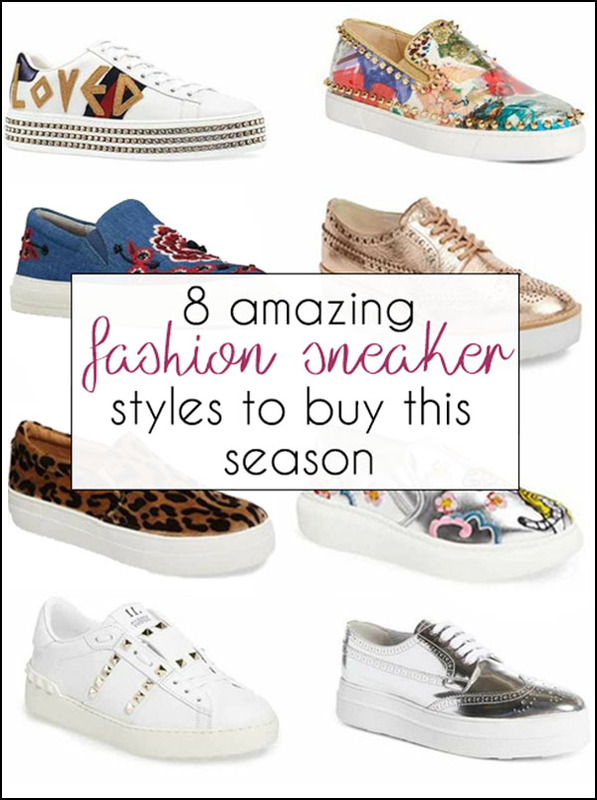 40+ Style » What shoes to wear » 8 fashion sneaker styles to try this season – Which one is your favorite? 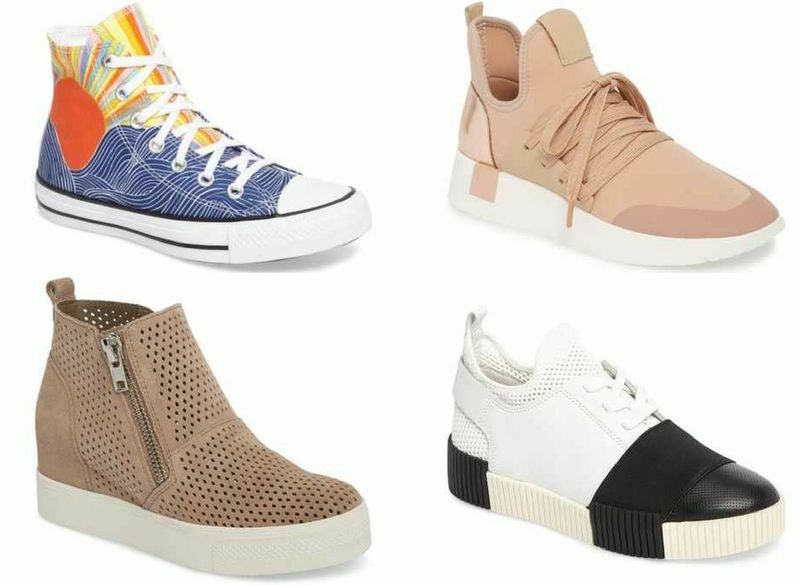 8 fashion sneaker styles to try this season – Which one is your favorite? It’s not often that style and comfort come together. But, that is exactly what has happened for this spring and summer. 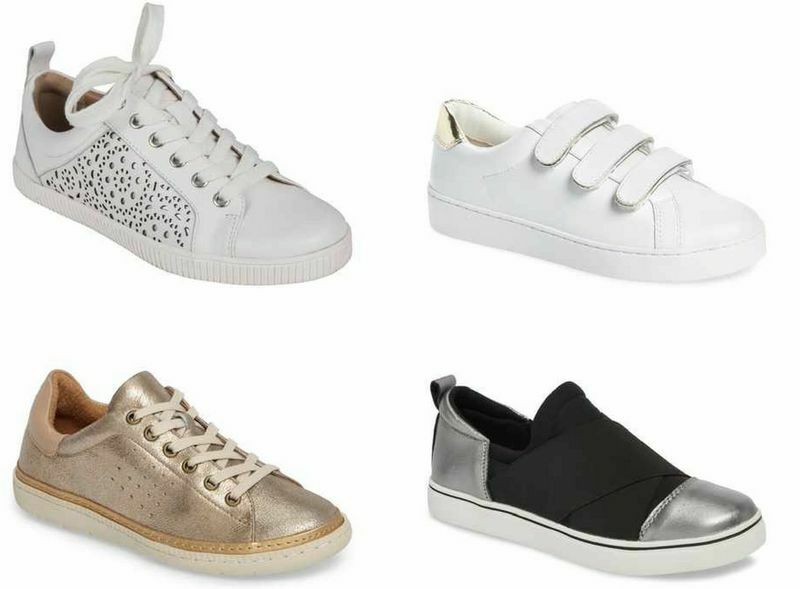 While sneakers have never been, and will never be, out of style, they are absolutely bang-on-trend this season, especially if you opt for a platform design. All of the top-name fashion houses sent models down the SS18 runways wearing sneakers, with the emphasis on “more is more” embellishments. 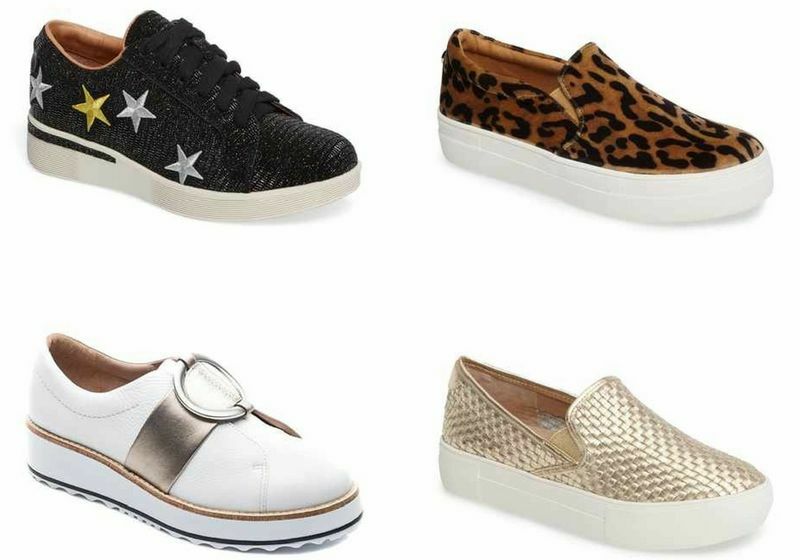 Here are a few of the designer fashion sneakers for women over 40 we loved! Thankfully, though, it doesn’t matter whether you have a designer budget or not. The high street now has plenty of interpretations of all of the styles from the big brands! 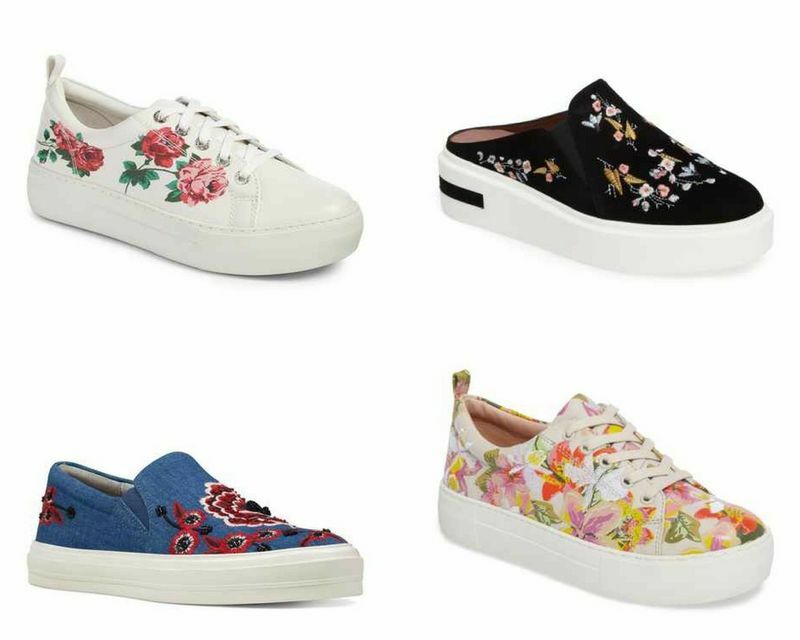 These are a fantastic way to add some floral feminity to an outfit this spring. They add instant oomph to even a simple tee and jeans! Look at any fashionista’s Instagram page and you’ll see that sneakers seem to have replaced stilettos this season. There’s definitely more Addidas around than four-inch heels. 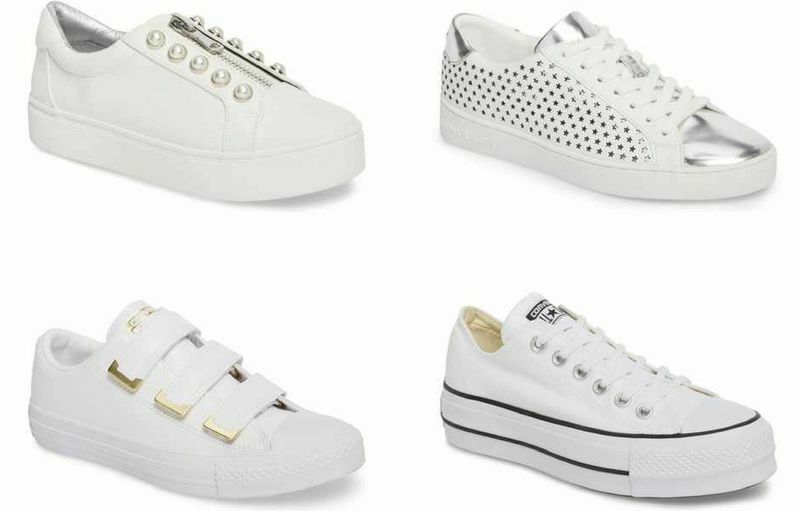 And, the biggest trend is for Platform sneakers, which add height, without discomfort! 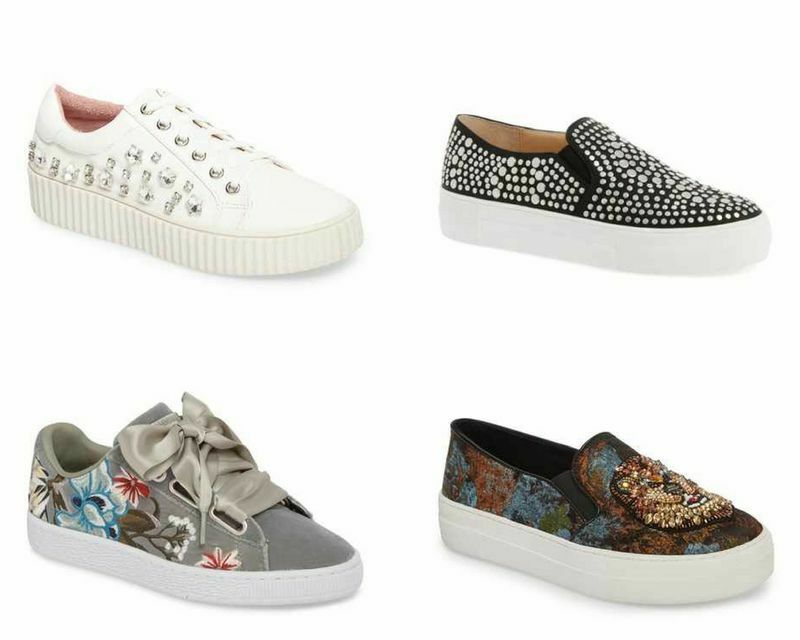 Whether adorned with beads, ribbons, embroidery, or all three, sneakers have never been so attention-seeking! We’re a huge fan of wearing metallic shoes as neutrals as an alternative to white. They really do go with everything, adding a glam look to daywear. 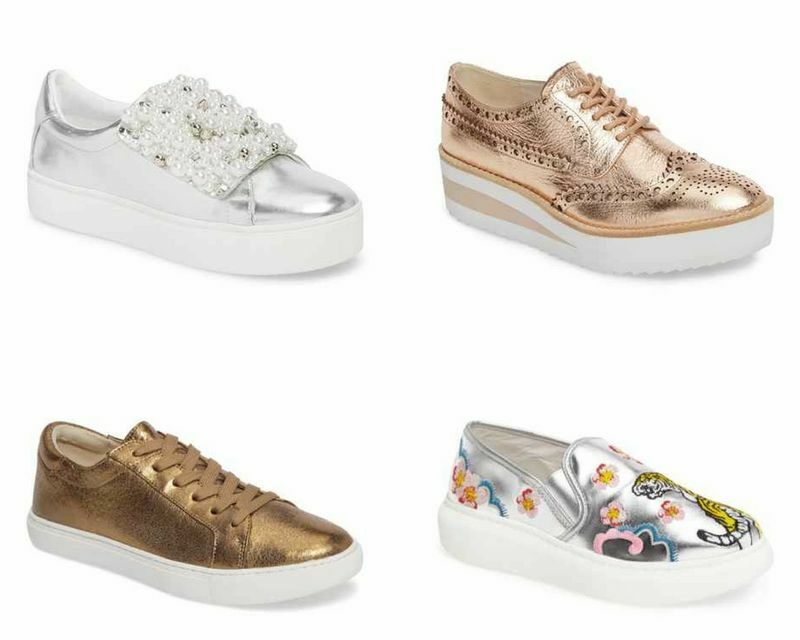 While embellished, embroidered and floral sneakers are designed to be statement pieces, white sneakers allow the rest of your outfit to shine. They’re the perfect way to dress down an outfit which could otherwise be over-the-top for day-to-day wear. That’s not to say, though, that you can’t add a few metallic or pearl details! Surely the ultimate in comfort, sock boot sneakers appeared on the catwalks of Balenciaga, Miu Miu and Fendi. They’re a hybrid of a sock and a sneaker, using knitted material that you simply slip your feet into! High-top sneakers first appeared way back in 1917 when Converse introduced their iconic All Stars. Now, they’re just as popular, but they can be tricky to wear. Our favorite way is with wide-legged cropped pants, leaving a peek of bare leg, to keep your body proportions right. 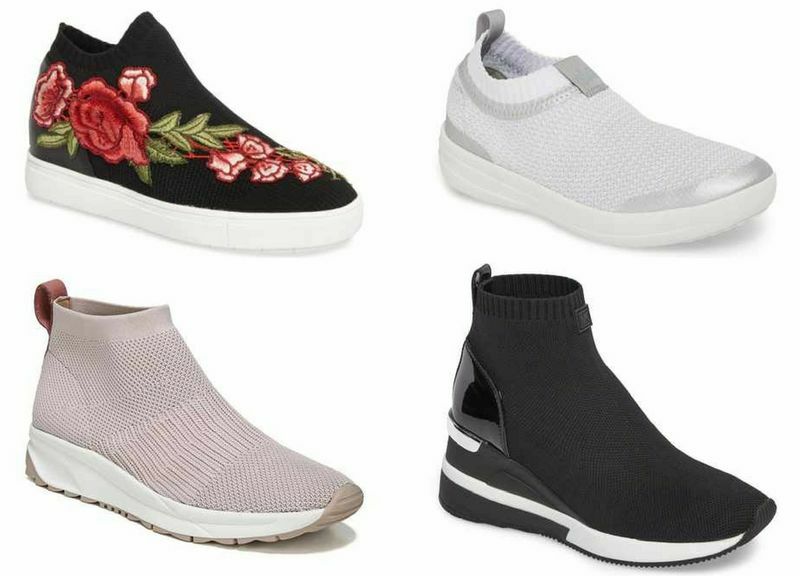 While most sneakers are already very comfy, there are some which offer even better support and which would be particularly suitable (and stylish!) if you suffer from Plantar Fasciitis. We’ve already featured some brands above which would be great for offering extra support, such as FitFlop, Naturalizer, Ecco and Gentle Souls. But here are a few more suggestions! Do you already have lots of sneakers in your wardrobe? 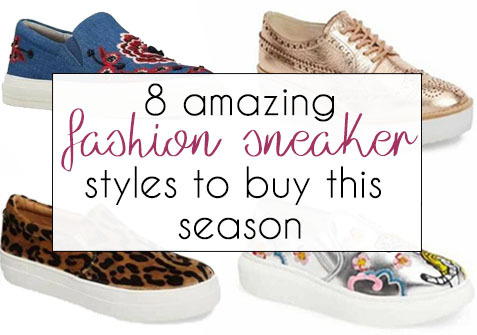 Or are you planning to invest in a new pair for this spring and summer? Let us know what your favorite style is!! I have two pairs from Essentiel Antwerp and they are fantastic. I might buy another pair this year. Thanks for the tip on Essentiel Antwerp Greetje! 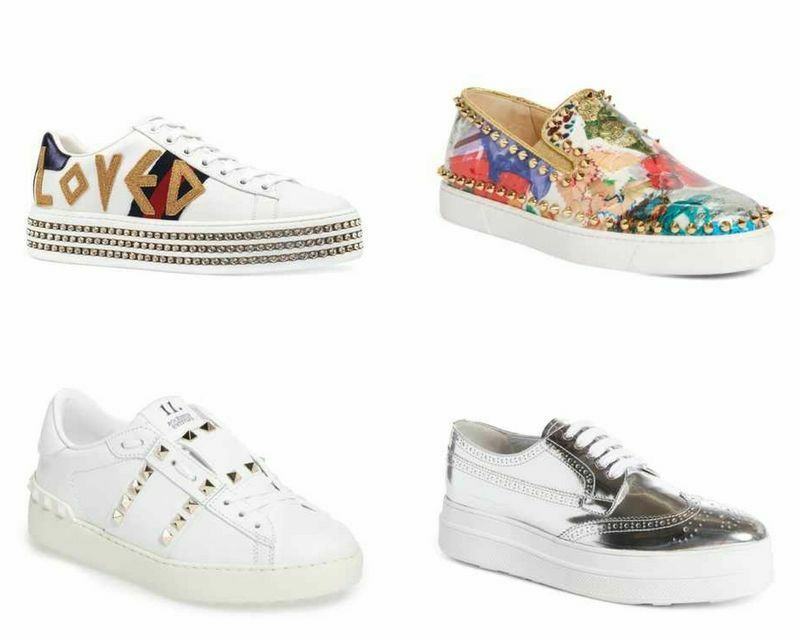 They have lovely embellished sneakers this season!